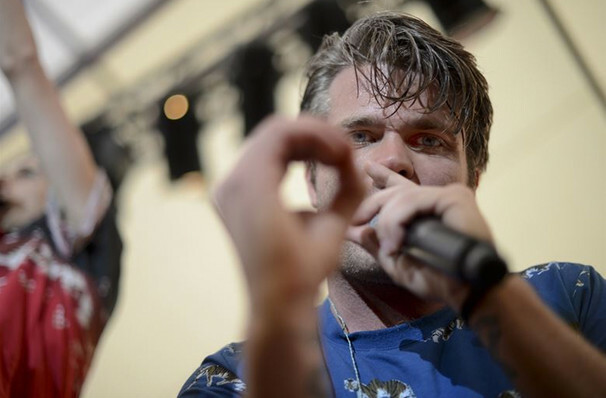 Synth-pop favorites 3OH!3 are back on the road in 2018 as they present the 10th-anniversary tour of their hit 2008 album WANT! The duo have teamed up with hit LA club-night Emo Nite to create a unique and unforgettable event. Bursting into the mainstream with 2009's Starstrukk (featuring Katy Perry) 3OH!3 have gone onto become industry favorites, cultivating an amass of dedicated fans and a lucrative ten-year dynasty. Made up of Sean Foreman and Nathanial Motte Colorado born 3OH!3 first formed in 2004, releasing their self-titled debut back in 2007. Now with five studio albums to their name 3OH!3 bring their vast catalogue of hits to you in this expansive 31 date tour! Don't miss out on their infectious synth-rock guitar riffs and catchy melodies when they hit your town. Seen 3OH!3? Loved it? Hated it? Help your fellow El Paso Theater visitors by leaving the first review! Sound good to you? 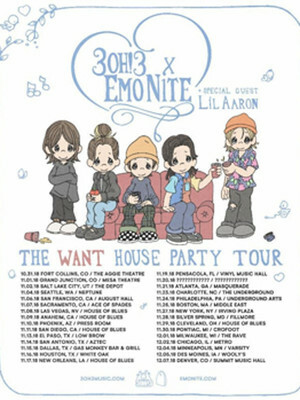 Share this page on social media and let your friends know about 3OH!3 at Lowbrow Palace. Please note: The term Lowbrow Palace and/or 3OH!3 as well as all associated graphics, logos, and/or other trademarks, tradenames or copyrights are the property of the Lowbrow Palace and/or 3OH!3 and are used herein for factual descriptive purposes only. We are in no way associated with or authorized by the Lowbrow Palace and/or 3OH!3 and neither that entity nor any of its affiliates have licensed or endorsed us to sell tickets, goods and or services in conjunction with their events.